"Father Acklin's approach is uniquely his, given his experience as a spiritual director, psychoanalyst, and seminary rector. 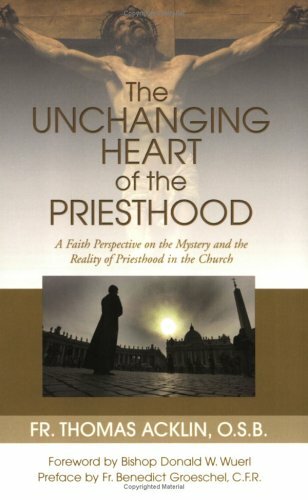 His insights, however, will be inestimably valuable to all who love Christ's priests." --Scott Hahn, PhD. Professor, Franciscan University of Steubenville.